The Health and Safety Executive (HSE) discovered that Baulf’s supervisor had authorised the maintenance on the same day and issued a permit to work, which detailed the procedures to ensure work was carried out safely in the weigh bin area. But the supervisor failed to supervise the work and had not checked the control measures identified in the permit, including making sure the machinery was isolated and confirmed safe. Bath Magistrates’ Court heard on 9 May that access to dangerous parts of equipment was controlled by locked enclosures, with captive key systems. To enter the enclosure employees had to insert a machine key into the access gate, which would unlock the guard and release a safety key. When the safety key was removed from the lock, the machine key was held captive in the lock and hazardous parts of the machinery were isolated until the safety key was returned to the lock. However, HSE inspectors found there were spare safety keys on the site to access the captive key systems. The spare keys were not adequately controlled and could be easily accessed by staff, which made it easier for employees to access the danger zones behind the enclosures. 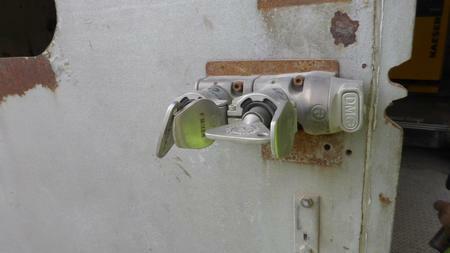 Inspectors found the spare keys were used regularly by staff who entered the enclosures while machinery was operating. The HSE identified other significant failings at CPM Group’s site. The company’s procedures for safe maintenance work were not consistently understood or applied and there were deficiencies in instruction and training. CPM Group, which pleaded guilty to breaching s 2(1) of the Health and Safety at Work Act, was fined £660,000 and must pay £14,564 in costs.